The Flambé menu has been inspired by the ancient Cook Island legend of the demi-god Maui, who entered the underworld via an opening at Black Rock, disguised as a red pigeon. With the help of his mother plus the use of some cunning and guile, he finally wrestled the secret of how to make fire from his grandfather, the god of Ma’uike. Our Chef’s have skillfully crafted a menu that not only uses as much local produce and fish as possible, but also offers unusual dishes that include ostrich, venison, duck and much more. This restaurant’s style of cuisine celebrates the classical culinary art of Flambé, with succulent meat cuts and local fish taking on that characteristic char-grilled delicious finish. Desserts at Flambé are without question a feast for the eyes, as well as heaven for the taste buds…with maverick and imaginative presentations featuring the opposing elements of fire and ice. Guests are often inspired to take out their i-phones to capture the drama of Crepe Suzettes being prepared especially for them at the table, or to witness the marvel of a hand-made ice igloo – encapsulating the [in] famous Belgium chocolate and almond semi-freddo. The skilful use of original local artwork, a very photogenic champagne glass- clad central chandelier, mood lighting, an outside dinning gazebo and bar, and a coral waterfall that challenges the intensity of a fiercely burning brazier – makes for an unusually mesmerising ambiance; made better still by live nightly entertainment, which is augmented every Friday and Saturday night with the addition of a spectacular fire dance display. I was fortunate enough to dine here in the first week of opening. Flambe is a spectacular addition to dining options on Rarotonga. The menu is extraordinarily good in fact it is difficult to limit yourself to 3 courses but there are also plates to share if you can’t decide! I opted for Scallops and Prawns to start; followed by succulent lamb and finished off with a refreshing Bavarois. There was no shortage of excellent quality wine at reasonable prices; attentive staff delivering subtle but friendly service – did I mention the bar?, the water feature? The fire pit or the outrageously good signature cocktail The Flaming Flambe? Go try for yourself – I hope to return very soon. Quite possibly the best menu of any restaurant in Rarotonga. Very hard to decide and I found myself narrowing the choice down to one of 3. We went the seafood platter in the end and it was all very nice, fresh seafood with all cooked to perfection. The dessert menu takes it to the next level. I opted for the chocolate & stout which for the chocolate lover could be the perfect dessert. Will definitely be going back as this restaurant raises the bar to a new level for restaurants in Rarotonga. Finally this former icon of Rarotonga has a new lease on life. Previously known as the Windjammer Restaurant (one of the best on Raro) there was a lot anticipation to see if the new Flambe Restaurant would bring back one of the premier dining experiences on Rarotonga. And it does. You can choose outdoor dining (which in Raro is always a plus) or indoor dining- for the odd occasion when its cold or raining. Make sure you check out the awesome outdoor Bar for a pre-dinner drink with the very knowledgeable Bar tender Ben. Warning once you get the menu you will have a very hard time deciding what to order. I opted for the Little Greek and the Ostrich salad the first visit and the Little Greek (again), scallops and Duck the 2nd time around, others couldn’t pass up the tenderloin with duck fat potatoes, and others the thrill of trying something completely new lead them to the perfectly cooked Ostrich. Executive Chef Jos will probably come by your table at some time during the evening to make sure you are enjoying the meal, such is her dedication to providing an amazing dining experience. A thoroughly enjoyable night out (times 4 and counting) and a real treat for the taste buds. Highly recommended. We went on recommendation of our hosts at Magic Reef Bungalows. Having been on Aitutaki for a week we had relaxed expectations – and were blown away by a fine dining experience that was brilliant.Great service – very attentive. Flambe is a small boutique restaurant – we ate outside by the bar with fantastic live music. The food was excellent – the Venison cooked beautifully and one f the nicest Venison steaks I have had. My wife ate the Ostrich salad which was also very good – and the deserts were great. Flambe are promising to offer Crepes Suzette – my all time favourite desert – but unfortunately were not able to on the night we visited. So I guess I will have to return to Rarotonga just for that. Based on the rest of our evening at Flambe it would make the trip well worth it! Visited twice in a space of 5 weeks and for a local that is saying something. I always thought Windjammer was amazing however the new menu at Flambe, the revamped outside deck addition and the staff makes for a truly memorable evening. Great to see a lot of locals there as well. We’ll be back!! Flambe has just opened and it is a taste sensation. This is the only true fine dining restaurant I have found on the island. The menu has a vast range of options, each as good as the other along with a superb wine list. If it is a fine day book an outside table. 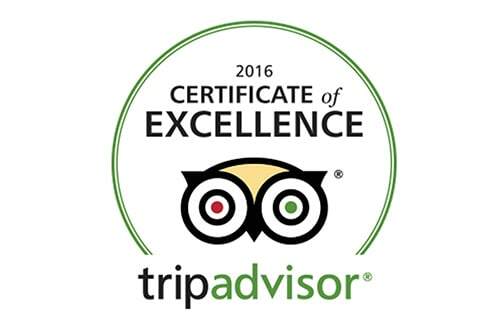 Outstanding service, outstanding meals, This is not just another restaurant. Without a doubt this is the best food I have eaten on the island. The menu is extensive with food such as vension and ostrich. the dessert was an experience in itself. “Crepes Suzette”. This is done right there in front of you. It doesn’t get any fresher. The staff are very tentative and friendly. The atomsphere is very relaxed. Tables are nicely spaced so you have that intimate feeling. The music was even perfect. Sounding surprized!…I was. This sort of quality is rare. If you are travelling to Rarotonga and want a first class meal along with service and atomsphere with all the trimmings I would 100% recommend this place. Absolutely amazing…..
Every fortnight, us girls choose a restaurant(s)for our Rarotonga dining experience. We had dined somewhere else for mains and drinks, then finished off the night at Flambé. Great friendly and welcoming staff on arrival, to the outside bar team and service. Excellent recommendations of night cap cocktails to match our dessert choices. We had an old fashioned, Stella and chocolate martini which complimented our Polynesian Mont Blanc and Tropical Tiramisu. Fortunately, when we arrived we got to enjoy the last 30mins of the live band. Note to all there are 2 great dining environments that are pleasantly designed for your comfort. The restaurant is open to all persons 16yrs and over. We highly recommend that you make reservations to avoid disappointment, by calling 23953. Flambé team, you have sold us to see you next fortnight for your entree and main selections. We will be back soon. We heard that this restaurant had recently changed hands and become Flambe. The new owners have taken particular care to create a theme associated with the volcanic orgin of the Cook Islands. This works very well. The menu features amazing raw fish dishes and other local seafood as well as meat and poultry imported to the Island. The food is extremely well presented and truly delicious. The flambe crepe desert is a real treat and conducted at your table. The staff are also very well trained and attentive all sporting a similar tropical clothing theme. The restaurnat has two eating areas – al fresco and in-doors. If the weather is suitable the best place to eat is outside where there is usally some form of live dinner music. If you have the flambe desert they move you inside and this works fine. At this point in time I would say that this is the best restaurant on the Island for quality, taste, service and setting. We returned here during our short trip and hope to eat here again on our next. We arrived at the Crown Beach Resort looking for the Flambe Resturant, we found the entrance with some help. This used to be another restaurant until a few months ago, and the resort has added a raised outdoor dining area with bar. There were plenty of staff regaled in orange clothing to greet us and who provided attentive service during our stay. There was a local musician who was very handy with his guitars. The menu provided plenty of choices with local and imported fare. All tastefully presented and cooked well. There were plenty of outdoor oil burning lamps and a brassier which got a bit smoky at times. All in all a nice meal and environment, with some finishing touches it will look the part as long as the lamps don’t get too close to the thatched roofs! Relatively new on the island, but wow certainly making a name for itself, I would have to say the food is THE BEST on the island. You must make this restaurant a “MUST DO” when in Rarotonga as you will not be disapointed.